Welcome to Penners & Feathers. 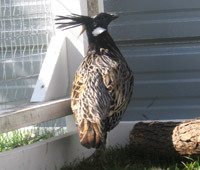 We are a Canadian bird breeder located in southern Manitoba. Currently we are specializing in Ornamental Waterfowl and Pheasants. Please take the time to view in more detail the birds we are currently keeping.